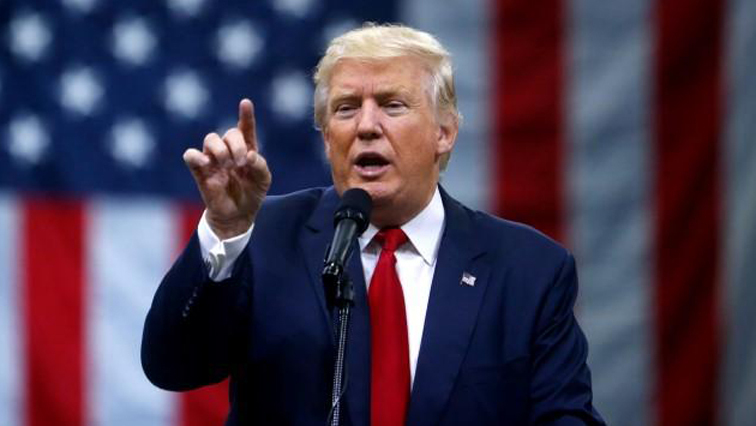 White House claims vindication after release of Mueller report - SABC News - Breaking news, special reports, world, business, sport coverage of all South African current events. Africa's news leader. The head of the Justice Department – a Trump appointee – decided that the evidence developed during the Special Counsel’s investigation is not sufficient to establish that the President committed an obstruction-of-justice offense. The White House has claimed vindication after Special Counsel Robert Mueller found no evidence of collusion between President Donald Trump’s 2016 election campaign and Russia. A four-page summary of the report, delivered in its entirety to the Attorney General at the Justice Department late Friday, was released on Sunday to Congress and found that there was no collusion but that a determination on whether the President obstructed justice during the investigation was left to the Attorney General William Barr. There’re a number of big takeaways from the summary of the report – it signaled the end of the two-year long probe into Russian interference in the 2016 election, confirming in some detail attempts by Moscow to conduct misinformation on social media and hacking operations against the Democratic Party and the Hillary Clinton campaign. The other was that no-one in Trump’s orbit conspired or coordinated with Russia in those efforts. Thirdly, the Barr summary says no legal conclusion was made by the Special Counsel on whether Trump obstructed justice by, for example, firing then FBI Director James Comey, leaving it to the Attorney General who concluded that was not the case. But that has not satisfied Democrats in Congress who have demanded that the report in its entirety be released. The White House sees the findings as a huge victory for the President Trump who hailed it as a complete and total exoneration. While Mueller did not exonerate the President, the White House begs to differ as Press Secretary Sarah Sanders articulated. Legal analysts argue that obstruction of justice cases are always difficult to prove. Legal Affairs journalist Jan Wolfe explains. The Special Counsel interviewed about 500 witnesses, issued more than 2800 subpoenas and executed nearly 500 search warrants during its two-year probe. Democrats are threatening subpoenas while the Attorney General may be called to testify before Congress. And while some 37 individuals and entities were indicted or convicted of crimes during the investigation, including six Trump associates, the cloud hanging over this White House, has for now surely been lifted. This entry was posted on 25 Mar 2019,06:33PM at 6:33 PM and is filed under World, Homepage Latest Stories Slider. You can follow any responses to this entry through the RSS 2.0 feed. Both comments and pings are currently closed.